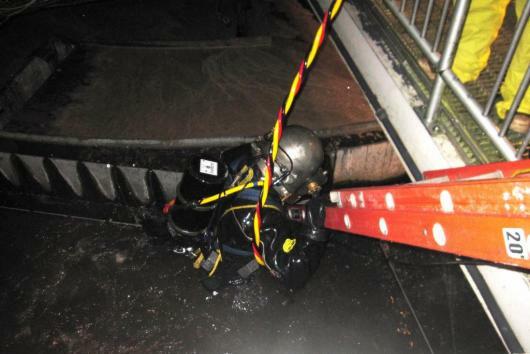 Bainbridge Island Sewage Treatment Facility - Global Diving & Salvage, Inc.
A tool was inadvertently dropped into the primary clarifier unit, blocking mixing equipment. Within two hours of the initial call, Global responded with HAZMAT diving equipment. The diver removed the obstruction and verified proper operation of the mixer.